Lush Fab Glam Inspired Lifestyle For The Modern Woman: ﻿Valentine Contest: Get A Free $30 Gift & Win $500 In Canvas Art. ﻿Valentine Contest: Get A Free $30 Gift & Win $500 In Canvas Art. With Valentine's Day quickly approaching we have a great freebie and contest to share with you. 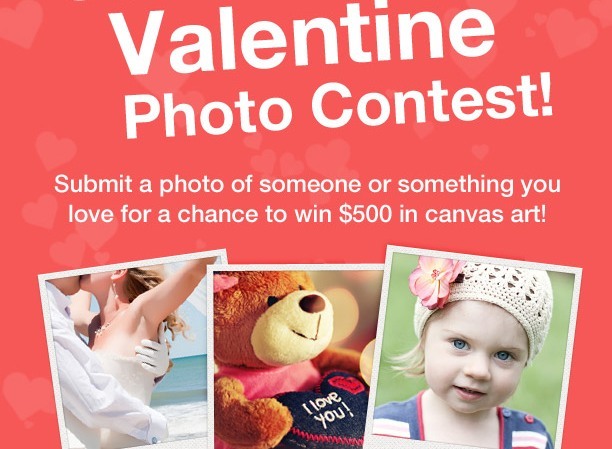 Win up to $500 in Canvas Art just for submitting a photo of someone or something you love. 1. Enter The Valentine Photo Contest by CanvasPop. Entrants must reside in the USA or Canada. Contest closes Feb. 13, 2013. Photos may be used in future promotional materials by CanvasPop. Don't forget to share this great giveaway and contest with your family and friends.